Make web browsing safe for business. Protect your users and business from malicious links, websites and downloads. Protect local and remote users from accessing malicious websites and files. 40% of internet activity is non-work related. Stop unproductive or inappropriate web browsing with granular access policies. Get started in minutes with no client software to install. A single click from one of your users can release destructive malware into your network. Barracuda Content Shield provides Advanced DNS and URL filtering to prevent users from accessing this malicious web content. 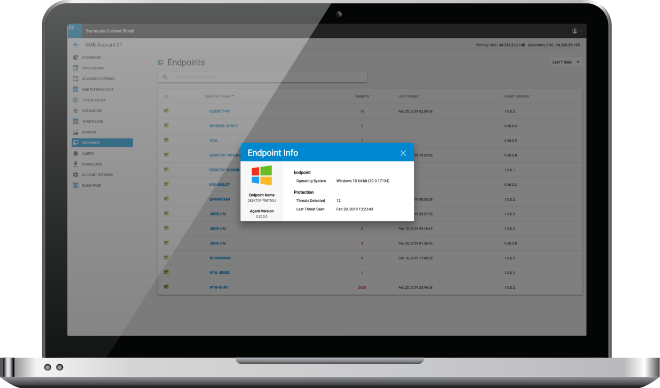 It also scans local files and disrupts any malicious communication from active and dormant threats on endpoints. Departments require differentiated access to web content. Barracuda Content Shield integrates with LDAP and Azure AD, making it easy to set policy based on individual users or groups. Use our pre-loaded category filters to block inappropriate content and ensure that your employee web-browsing remains productive and compliant. Barracuda Content Shield is a hundred-percent SaaS Solution, eliminating the complexity and cost of traditional hardware deployments. Setup takes minutes, and its proxy-free architecture routes only untrustworthy requests for analysis—so you get optimal protection without latency. 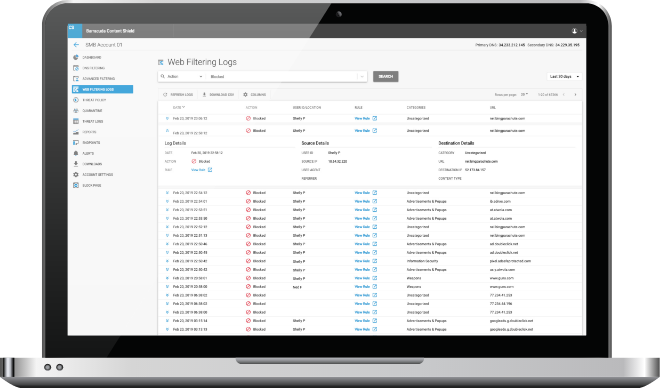 Centralized management provides at-a-glance visibility into users’ browsing activity, making it easy to identify high-risk individuals. Protecting your users only when they’re on-site is insufficient. Unprotected web browsing by remote or offsite workers can result in them introducing malware when they re-join your network. The optional Barracuda Content Shield agent lets you easily extend company policies to anyone outside of the network. Barracuda’s unmatched global threat intelligence network ingests vast amounts of diverse, real-time threat information from millions of collection points around the world. Barracuda Content Shield leverages this system to continually enhance its threat-detection capabilities and respond to fast-evolving threat trends. An out-of-date operating system can leave an endpoint vulnerable to security breaches. 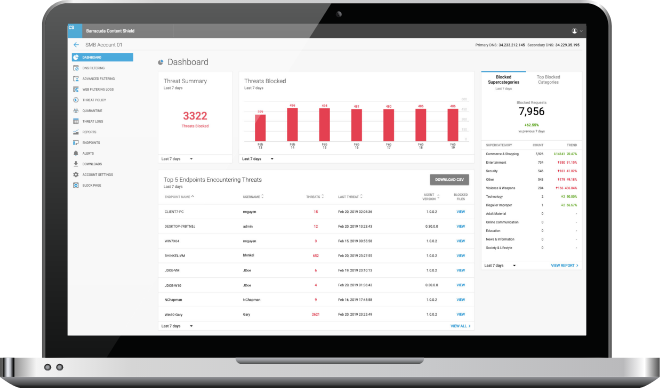 With Barracuda Content Shield, you can gain visibility into all network assets and their security status. Receive alerts if updates are needed and if malware is detected on a device, allowing you to quarantine compromised devices and prevent the spread of malware throughout your network.